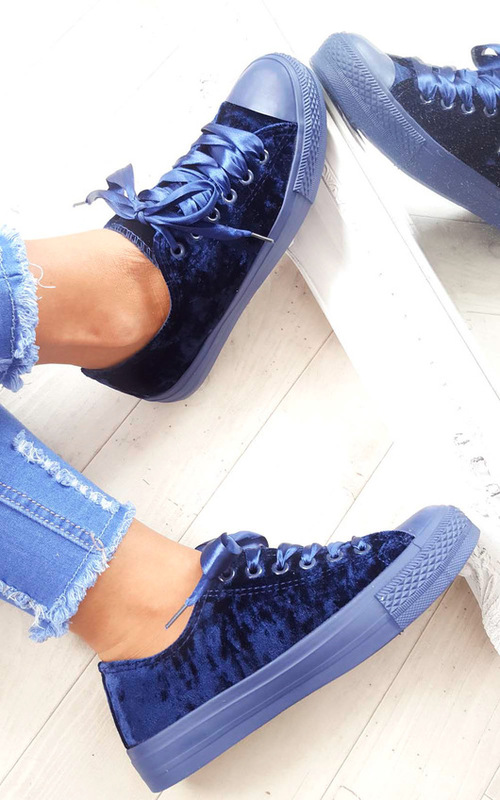 Chill out in style with these beaut platform pumps! 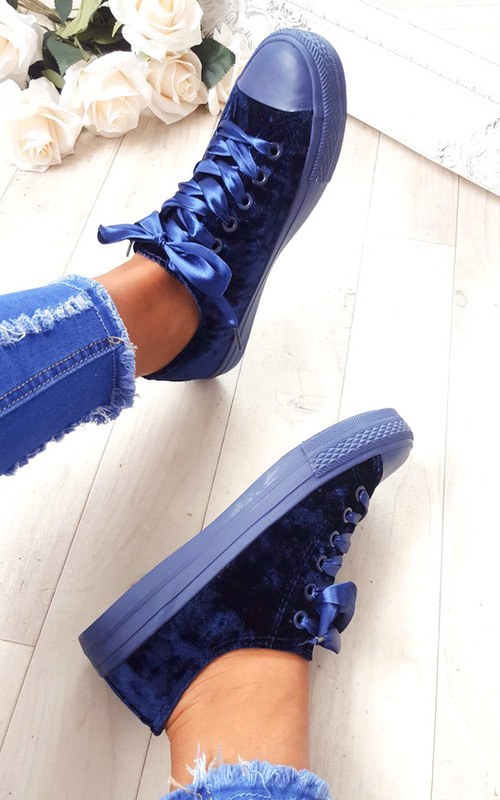 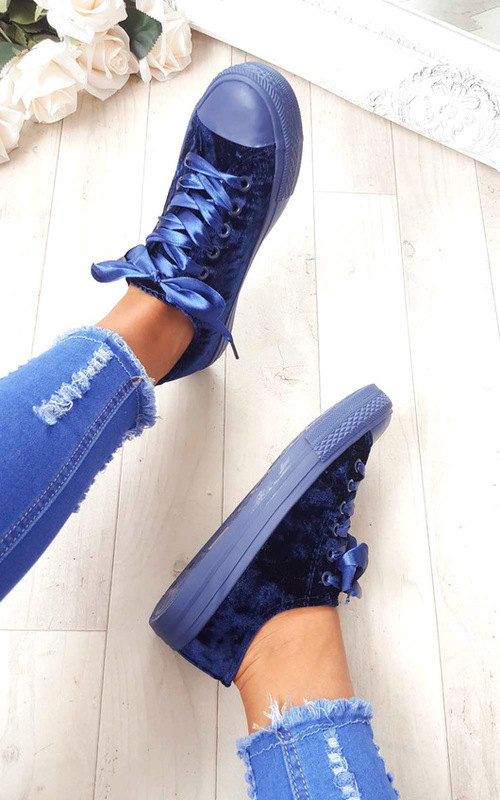 These stunners have a platform base, ribbon laces and a crushed velvet finish!. 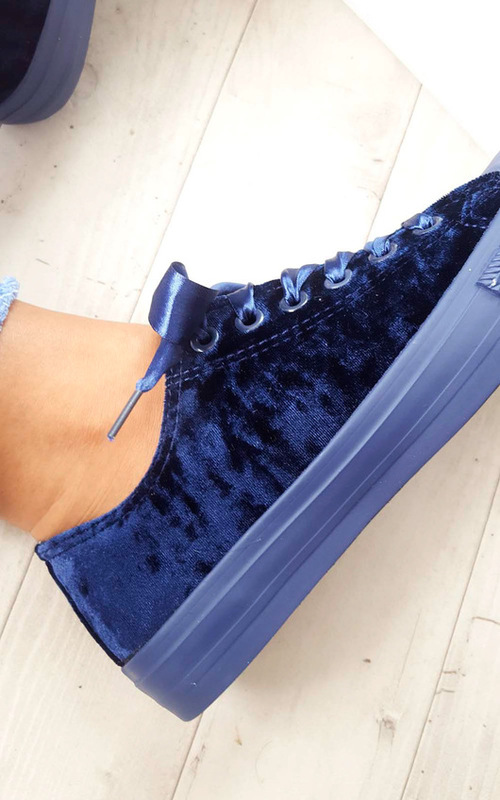 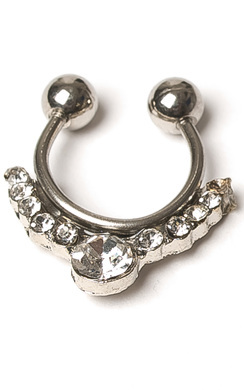 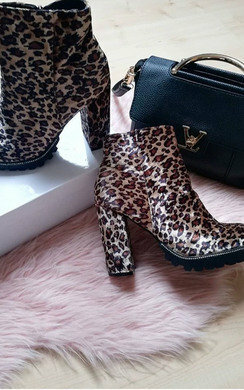 Team these with your fav jeans and cute bodysuit for a perf casual look!